Join us for our Dragon Ball Super: Power Booster Miraculous Revival Power Booster Event! Seating is very limited, so make sure to preregister now! The entry for this event will be $30.00. This event will be Capped at 16 players! Each of the 16 Players will also receive a Miraculous Revival Power Booster. 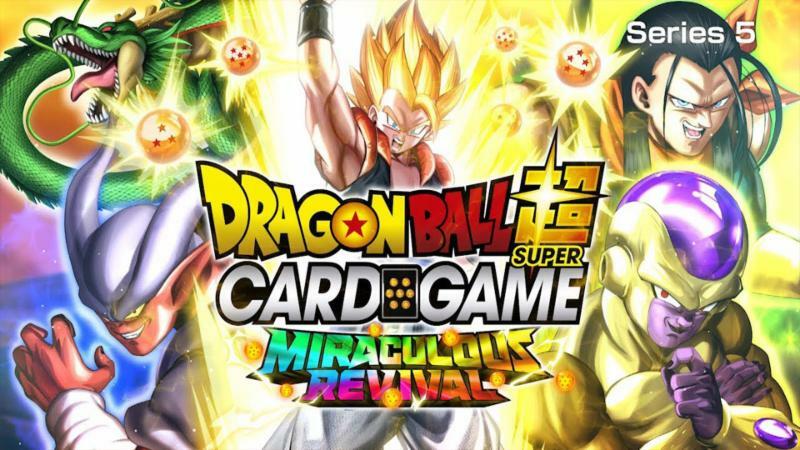 Each Player will receive 6 Packs of Miraculous Revival to construct a deck with. Players will then play swiss rounds in a Best of 1 format with no time limit. Prize Support will be Tournament Packs & Dash packs from various sets and is based on the number of participants.